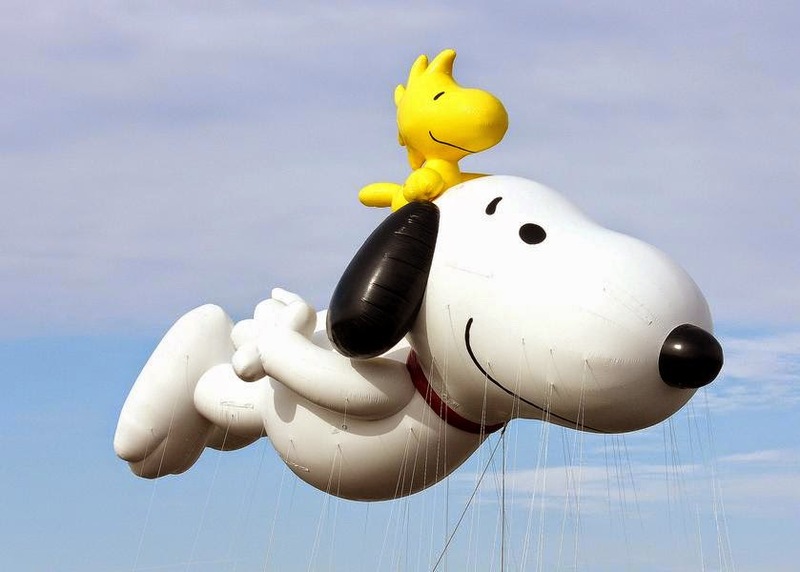 Snoopy and his best buddy Woodstock will return to the Macy's Thanksgiving Day Parade this year. The balloon featuring Woodstock atop a soaring Snoopy debuted in last year's parade; 2014 will be its second outing, and Snoopy's 38th parade appearance overall. The TV broadcast of the 88th annual Macy's Thanksgiving Day Parade airs Thursday, November 27, 2014 from 9 AM - Noon on NBC. (All time zones; the Macy's Parade broadcast starts at 9 AM, regardless of which time zone you're in.) Advance press says there will be a live stream of the broadcast on NBC.com as well.